I have focused the vast majority of my career toward the betterment of aggressive and anxious dogs. Over the years, I have diagnosed, trained, or worked with literally thousands of them. On an average day, I see anywhere from eight to ten aggressive or anxious dogs through consultation or as we’re actively working with them. The vast majority of these dogs aren’t actually aggressive—they’re fearful. But we also see truly aggressive dogs, dogs that will go after other dogs or people with the intent of doing harm. I tell you this because I want you to know where I’m coming from. Working with these dogs is mainly what I do. I have a somewhat different perspective on dog aggression from many other trainers you’ll encounter, particularly positive trainers. Nitro K-9 is often the last resort for people, which means I see a lot of dogs at their very worst. These people have tried trainer and trainer, and when that fails, and the positive trainer tells these people they can’t do anything and the dog should be put down, they come to me. And most of the time, we help fix the problem. In this blog post, I want to talk about aggression in dogs—what it is, where it comes from, and how we fix it. Just a warning; this is a long post, and it only scratches the surface. I’ve tried to organize it as best as I can, but if something is not clear, please feel free to contact me and I will answer any questions you might have. Aggression in dogs is not simple, and the cure is not one-size fits all. That’s because there are many factors that come into play. The first thing you need to understand is the role of genetics, developmental stages and how they affect aggression, and the role of dopamine. It used to be that dogs had a real job. Dogs were specifically bred for certain skillsets, which is where different breeds come from. For instance, hounds were bred for powerful scenting ability, used in hunting. Shepherds were bred to herd animals. Genetically speaking, a hound would likely make a poor herder. These traits have been selected for, and they are passed down from generation to generation. The fact is, some dogs have a greater propensity to aggression than others at a genetic level. It’s no different than hair or eye color, and susceptibility to certain diseases. Now, this doesn’t mean that they will definitely become aggressive, only that the genes are there. There’s a difference between genetics, which means having a gene, and epigenetics, which is changing how that gene is expressed based on environmental conditions. But one of the biggest environmental conditions is how we live. Modern dogs have little to no access to do the things they once did. Most dogs are kept in apartments or houses, yards or basements. Or they spend their days in doggie daycares, which is about play, safety, and proper social engagement. I am a HUGE fan of doggie daycares, provided they are run correctly, but the fact remains that often a dog’s natural drives never have a proper outlet. We have Australian shepherds that have never laid eyes on a sheep. Labs that aren’t swimming out to fetch downed ducks. That’s fine—we can redirect their drives toward something else, like chasing or fetching balls. But does a purebred Johnny Walker Coonhound have a reasonable purpose for having such a powerful nose in the city? Probably not. Does it have an outlet for that drive? Maybe, maybe not. And then there’s the question of mixes. If you mixed this coonhound with another breed, would it become more “citified?” It depends on what you’re breeding it with, and even so, how do you know what characteristics will be passed down in what proportion? You don’t. You don’t even know the answer within a breed because it depends on individual genes. That’s why some dogs seem to be “okay” while others aren’t. All this is to say that genetics plays a huge role in whether a dog becomes aggressive or not at a fundamental level. On top of that, there’s the issue of dog genetics vs how that dog lives. But that’s not all. You’ve likely seen a breakdown of canine development, but it’s worth going over again in the context of dog aggression. The reason for this is that many people—especially those who have never had dogs before—find that their idea of a dog and how it should behave is often different from the reality of the dog’s behavior. Just as genetics plays a huge role in the personality of the dog, so does its environment. Puppies are very impressionable at this age. They are learning every single moment of the day (and many of the things they learn are things you might not find out until later). It is important to start working with puppies to imprint them from birth. For instance, working puppies are imprinted to fulfill a working lifetime, starting their training around four weeks old, with puppy rag work, sticks, and gunfire and loud noise training. My pups start learning how to swim, chase a ball, and follow their human pack master. Show dogs, on the other hand, are usually only socialized, because ringwork consists primarily of walking around and being handled in the presence of people and other dogs. Dogs that aren’t socialized during this period, or pups that are taken away from their mothers too soon, are much more likely to have behavioral issues, including aggression. And back to genetics: some dogs show growling, guarding, etc. from a young age. Typically, these are what I call truly aggressive dogs. They will be the most difficult to help and require the most work. However, if caught in time, MANY can be saved. During this time. They will also test boundaries over and over again to know exactly where they stand. It’s during this period—usually during play—that they start learning bite inhibition and practice dominant and submissive postures. Contrary to what many positive trainers will tell you, dogs are very hierarchical creatures. Dog owners who allow their puppy to bite them are setting themselves up for possible issues later. The person thinks it’s cute—but the dog is being told that it is higher up in the hierarchy than its human. Around 6 months old, puppies go through a brief fear period. They may startle easy and become slightly anxious. It is critical to avoid stressful situations and keep everything light and fun. This a normal part of their maturing process and is nothing to worry about—provided that the dog has been well-raised and everything kept very positive and fun. This fear period is about the time most aggressive behavior starts. It is usually incorrectly diagnosed by positive trainers and core issue goes unaddressed. The dog becomes worse rather than better because they have no ways to escape their fears, and no one to help them understand what they are going through. On a side note, I always recommend NOT spaying or neutering during this period. There are many reasons you should wait until 18-24 months (watch for a blog post on this), but consider this one fact: a male puppy between four and ten months has testosterone levels five times higher than an un-neutered adult male dog’s. This is one way that other dogs recognize that the puppy is still young; it will correct undesirable behaviors without harming the pup. Dogs think by association—and it’s reinforced by dopamine. How does this happen? One word: dopamine. In the brain, dopamine is a neurotransmitter; it is released by nerve cells to send signals to other cells. In simple terms, dopamine stimulates the pleasure/reward centers of the brain. Almost every species on earth that has a brain also has dopamine. It is extremely important to understand the role of dopamine when thinking about aggression in dogs because many dogs that are aggressive begin to enjoy the aggression because it rewards the pleasure centers in their brains. I can’t overstate this fact. Let’s talk about the classic mailman scenario (a cliché, yes, but one with some “bite”—approximately 6,000 mailworkers are bitten each year.) The dog waits in anticipation and delight as the mailman is about to come because the mailman is associated with a flood of pleasurable dopamine in the brain. Then, when the mailman arrives, he or she triggers the behavior that is rewarding to the dog. Now you have a dog that is trapped in a cognitive loop of aggression that feels good. One final word about dopamine—there’s a lot of research going on about canine aggression, and one thing that’s interesting is that polymorphisms in genes that regulate dopamine and serotonin keep coming up as factors in aggression. These aren’t the only genetic factors, but they’re certainly one of them. Part II: What makes an aggressive dog? I have clients who come to me and ask, “Why is my dog aggressive?” They have done everything “right”—and are still facing all the problems associated with having an aggressive dog. I have people coming to me in tears, worried about having to put their dog down. They walk their dog at midnight when no other dog is around. They rely on muzzles and are scared to answer the door. I can tell you right now that 99% of the dogs I see are not TRULY aggressive. They are anxious—cripplingly, dangerously anxious. Unfortunately, aggressive behavior is aggressive behavior. The dog that is afraid of other dogs most often want them to go away or not enter a certain comfort zone. Over time, all it takes for many dogs is to simply see another dog and the red zone behavior is instant. A genetic tendencies toward certain behaviors. We covered this above. Most dogs can be saved, but many will need to be managed. Never left alone as a pup. Many people with puppies keep them close to them all the time. When the pups get bigger, people assume that leaving them alone more often will be fine. But if the dog has spent every moment with you, it may not be. Associates your leaving with something terrible about to happen. Related to the above, a dog that associates your leaving with fear will demonstrate negative behaviors. Usually, this gets worse over time. Never taught a proper heel. This is part of the cure, which we’ll cover later. Shock collars or other invasive devices used incorrectly. Associating your presence, or the presence of humans with inappropriately used devices can cause a lot of harm. Associates another dog as a threat. These fearful dogs will often go RED LINE. Goes so “red zone” that it cannot see or hear you anymore. This is a sign of a dog that is completely out of control. Begins to enjoy the flood of dopamine. These dogs will continue to get more and more aggressive. Undiagnosed orthopedic issues are also a very real—and undiagnosed—source of aggression. What breeds are most aggressive? People ask what the most aggressive breeds are. This is a hard question, because all dogs can display aggressive behavior. But I can tell you that in my practice, the aggressive dogs I see are usually German Shepherds and Pit bulls. I see more GSD in general than any other breeds—six to eight a day—partially because I’ve been working with the breed my entire life and considered an expert with them. I’m familiar with hundreds of bloodlines and most of the breeders out there. I work with working line and show line GSDs, and have a wealth of experience with the “experimental” show/working cross bloodlines. I’ve trained many top Sieger bloodline GSDs—as well as other lines—from every corner of the world. I say this so you understand the depth of my experience with them. They are the most aggressive and out-of-control dogs I see. But they are also the easiest to snap out of it because a well-bred GSD wants nothing more than its master’s approval. The other dogs I see most often with aggressive or anxious behaviors are Pit bulls, mainly American Staffordshire Terriers and their mixes. Pit bulls get a really bad rap, and I don’t want to contribute to this because I love them, and I know some really sweet, loving pits. But I also think that it’s important to address the fact that many of these dogs are bred specifically to fight—a.k.a aggression—and this is in the gene pool. You can’t get around that fact. Part III: What’s the cure? So you have an aggressive dog. What do you do about it, and how can I help? Learn how to communicate like a dog. We’re humans, not dogs. We do not act like them, and we don’t communicate like them. Dogs don’t reward or punish each other by giving or withholding food. Instead, they have a rich and complicated language of their own. One of these is their nip system. Watch a mama dog with her young: when a pup does something she doesn’t like, she delivers nip to the neck. Very quickly, the pups understand that this means “no.” The pup signals he understands and defers to his mom by rolling onto his back in a submissive pose. You will often see nips to the scruff with adult dogs too. It can be used between dogs to signify dominance—a method to work out the hierarchy between themselves. An aside here: In their zeal to dismiss dominance theory in dogs, the so-called positive people have also dismissed the very idea that dogs are pack animals, and attach negative connotations to terms like dominance and submission. This is silly. Dogs are pack animals. And like all pack animals, they want to know their exact place in their hierarchy. There is nothing implicitly wrong with dominant or submissive behavior. It’s totally normal—and you will see it play out on any given day when you have two or more dogs together. The positive people would have you think that everyone who acknowledges hierarchy and pack structure is regularly “alpha rolling” their dog (never recommended), staring them down, or beating them into submission. This is nonsense. When we use a prong collar, we simulate this nip system. Over my years of working with dogs, I have a theory that there is a rich neural network in the neck that helps regulate the excitatory/inhibitory response in dogs. I have no way of substantiating this; I am not a scientist. But I can tell you that there are many things you can communicate to your dog through a prong collar. Clients don’t believe me until they see it, but I’ve put prong collars on anxious dogs and watched them relax instantly. Take Sammy, half GSD, half cattle dog. She was terrified of everything. A piece of paper blowing down the sidewalk freaked her out, let alone other dogs or cars. She had to be carried outside. Her owners went to seven or eight trainers, who tried everything—every luring technique, every treat known to mankind, a choke chain, and then a shock collar. Nothing worked. They came to me, we put on a prong collar, and within 5 minutes she was walking outside. The solution for almost every dog is proper training, with an emphasis on the heel command. When you combine training with the nip system (i.e., with a prong collar), you get a powerful system to redirect your dog’s focus to you, using the language it already knows. When I talk about proper training, I mean throw away the clickers and the food. Clicker training will not get your dog to heel properly because the dog is focused on the food (or other reward), not on you. The moment that goes away, so does the attention. Also, a heel command is different than a “right here” or staying within four sides, or the “box” used by positive folks because it requires a much higher level of concentration and control. The heel is the most important aspect of dog training (and treating serious aggression and anxiety) because it teaches the dog to keep its mind focused. 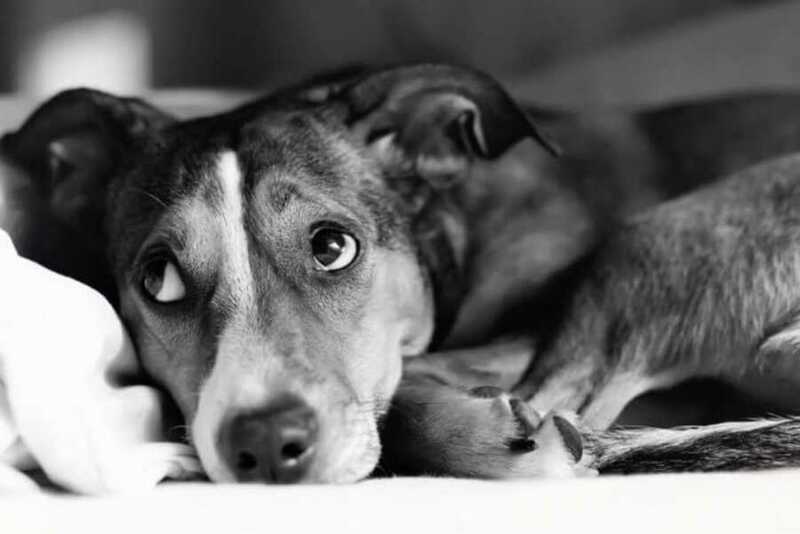 When a dog is nervous of something and no one helps get his or mind off it, the fear builds. It then begins to associate all sorts of things with that fear…dogs, cars, bicycles. Then all dogs, cars or bicycles become scary, with the ensuing negative behaviors. But when you break this cycle—and teach the dog to concentrate on you and on heeling—none of this happens because those associations aren’t created in the first place. And for dogs who already have those fears, they learn to tune it out. This opens the door to re-socializing and many other wonderful things being introduced back into the dog’s life. Are you struggling with aggression? Call me. We can help.